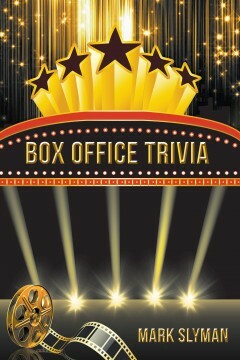 This book contains two thousand trivia questions about movies that were made in Hollywood and a number of other locations, over more than one hundred years. Some of the topics include the original names of certain actors. What actors and actresses starred in certain films, what directors won an Oscar for directing certain films. Also, what were the names of the characters that actors and actresses played in certain films. Also includes who composed the music score of certain films… and much, much more! Mark Slyman was born in Beaver Falls, Pennsylvania. He is the second child born to Raymond A. Slyman and Alice (Dodds) Slyman. By the time Mark was fifteen years of age, he had lived in five different states throughout the country. His father was in the insurance business and was therefore transferred frequently by the Company that he worked for to different regions. Today, Mark resides in western Pennsylvania and is hoping to have a game show of his own that he created for television in the near future! I have been participating in book signing events as far as Guadalajara, Mexico. The response from my book Magical Wings has been tremendous! So many asked, when are you going to publish a coloring book for your fun characters? 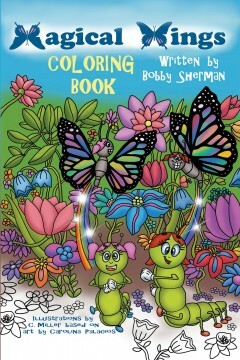 Hence, the coloring book was born! Illustrations by artists Carolina Palacios and C. Miller. Have a lot of stored up movie knowledge with nowhere to use it? Well SCREEN TEST gives you the opportunity to put all that movie knowledge to the test with a great assortment of trivia, puzzles and much more. 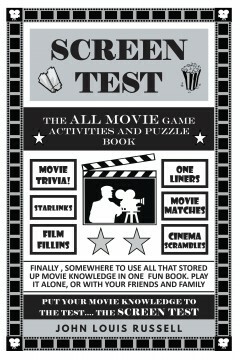 SCREEN TEST is the 100% all movie game and puzzle book you can enjoy alone or to play as a game with friends and family get togethers. So go ahead and put your movie knowledge to the test …. THE SCREEN TEST! John Louis Russell was born in Mount Vernon New York. He moved to Las Vegas with his family in 1980. He then started a career in the casino business but then started in the entertainment business as a stage hand, then an assistant technical director. He also did extra work for TV and movies. He designed and invented several movie board games and then wrote this 100% movie game and puzzle book that was basically a collection of all his movie games in one book for movie lovers like himself to enjoy. He also loves golf and actually holds a patent on a golf swing training tool he invented.